How to Incorporate Fitness With The Creative Types (A Memoir From A Kreative Kid) - Energetic Juniors - Contact Us! Growing up, my parents would be the first to tell you that they couldn’t shut their daughter up or keep her still, especially if there was music playing or the sun shining. I wanted to run and dance and sing, and loved to simply talk to myself in as many different creative voices as possible. The one way they could calm me down and get me focused, was watching old movie musicals. 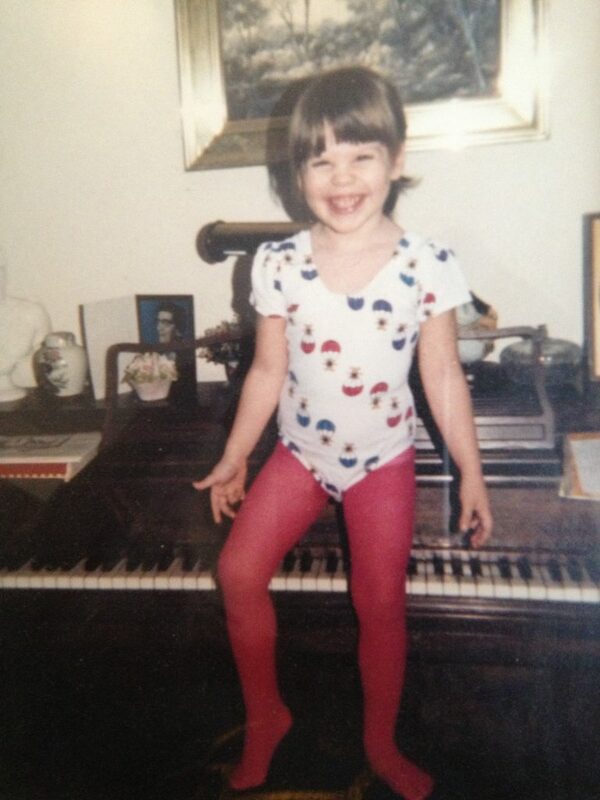 And years later, enrolling me into dance class and acting. It was here that I was able to show my exorbitant amounts of energy and creation, and where I felt most at home. At school, in class, in P.E., things were more difficult. I was very coordinated; however, throwing and catching a ball was not “fun” for me. Why? I mean, “Where’s the music?” “Where’s the storyline?” Or “Whaddya mean I’m out? Can’t we all play?” Rules of these sport games eventually made sense enough, but it didn’t get me going like making up stories and characters, and moving to music. Because of this I was always last to be picked for teams during P.E. or recess… I was made fun of ruthlessly. Going up to bat was paralyzing. The others on the team made fun of me, and it was all I could do just to walk up to the plate. I tried, but I longed to just be in dance class and acting. Always. 20 some odd years later, I find myself helping these creative children that remind me of myself, through Energetic Juniors. Energetic Juniors is an in home fitness training company, in New York City, geared to helping children one-on-one with fitness and exercise training. I have been with this company for over 13 years now, and I must say that most of the children I work with fall into this category; being a Kreative Kid. This kind of child tends to think outside the box, marches to the beat of their own drum… Sports don’t interest them, P.E. class are more of a challenge, even a hindrance, and they become a target for their bullying peers. What do we do for this child? How can we encourage their creativity AND keep them active and motivated physically? This is where Energetic Juniors comes in and WHY it is so VERY beneficial and crucial for these kinds of kids. There are NUMEROUS ways to get children moving that do not involve sports. I’ve personally developed several games that merge improv, dance, and storytelling with fitness; incorporating calisthenics, running, jumping, agility, etc. getting their bodies, minds, and creative juices flowing and shining! The child not only is more engaged, he / she is having fun, and will gather the confidence they need in order to build upon their natural abilities and talents. Indeed, if we nurture these skills, it will help them in the long run. They will find their path more easily when approaching adulthood, and have a better chance at becoming a more successful and healthy (mentally and physically) individual. I mentioned that I was “lucky”. I AM lucky, because my parents accepted me for who I was, and who I am. They recognized that my abilities and my talents were able to shine and flourish in the arts, as opposed to sports. Now, what if I was a male? Not Katrina Marie, but Jonathan Miles? What then? Would my parents be as supportive and encouraging? I would argue, yes, but then again… Hmmm… There is definitely an extra pressure for boys in our culture, in our society, to participate in and LIKE sports. WHY? Once again, this is where Energetic Juniors can be such a highlight and chariot. It’s ok to not like sports, and there is a way to be active & physically fit without being on a sports team.